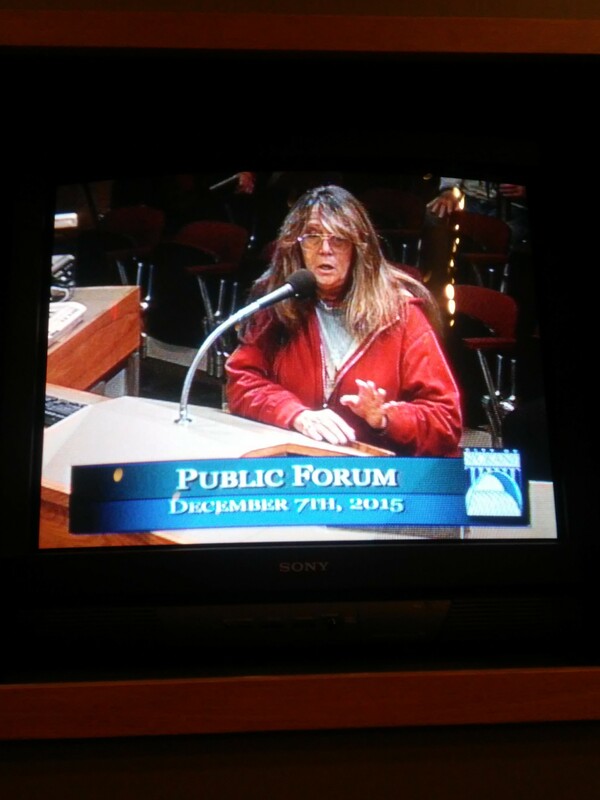 Jackie Murray, the sponsor of a controversial initiative petition related to the ever hot-button issue of immigration, made an appearance at city council to say she’s gone “truck driver” on a group based in Western Washington that was aiding her efforts. City council voted to unanimously to appoint its policy advisor, Brian McClatchey, and Councilwoman Karen Stratton as liaisons into an inquiry of into city's handling of allegations of sexual harassment against ousted Police Chief Frank Straub by former police spokeswoman Monique Cotton. City council unanimously passed a resolution in support of state and federal measures aimed at increasing voter turnout –– but just for U.S. citizens. During council’s open forum period, Murray showed up to give the council an update on an initiative she’s the sponsor of that would overturn an ordinance limiting when city employees, including police, can inquire about someone’s immigration status. With the backing of Respect Washington, a Western Washington-based group that’s supported a statewide ballot initiative intended to clamp down on illegal immigration, the petition came within 37 signatures of qualifying for the ballot. Although the initiative didn’t qualify, the Center for Justice had indicated that it would sue to keep it off the ballot if it did, arguing that a “legislative history” that was added to petition’s text made it invalid. Murray said this wasn’t her idea. Council President Ben Stuckart suggested Murray get in touch with the county auditor for advice. It’s not clear what the schism means for the future of the initiative. Neither Murray nor Keller responded to requests for comment. The council voted unanimously to appoint McClatchey and Stratton as liaisons to an investigation that was sparked by revelations that Mayor David Condon concealed allegations of sexual harassment made against the former police chief by a female subordinate. The goal of the inquiry is to provide an independent investigation into the circumstances surrounding the termination of Straub and to prevent similar situations from occurring in the future. It’ll also look into the delay of the release of relevant public records, which opponents of the mayor suspect was politically motivated. Stratton told the Inlander after the meeting that she was asked by Stuckart to serve as liaison, possibly because of her 10 years as a city employee. Stratton has had a contentious relationship with the mayor, who endorsed her opponent in the last election. The Inlander asked if this would be an issue. Stratton said the scope of the work is six to eight weeks. The council passed a resolution supporting an amendment to the U.S. Constitution granting the explicit right to vote, as well as state legislation that would pre-register 16 and 17 year olds to vote with the goal of having universal voter registration. The resolution also expresses support for the Washington Voting Rights Act, a bill intended to give minorities and other protected classes a greater voice in the electoral process that stalled in the legislature. Ann Murphy, president of the League of Women Voters of Washington and resident of Spokane, told the council that her organization supported the resolution. The resolution passed council unanimously after Councilman Mike Fagan successfully amended its language to make it clear it supported the right to vote to only U.S. citizens.